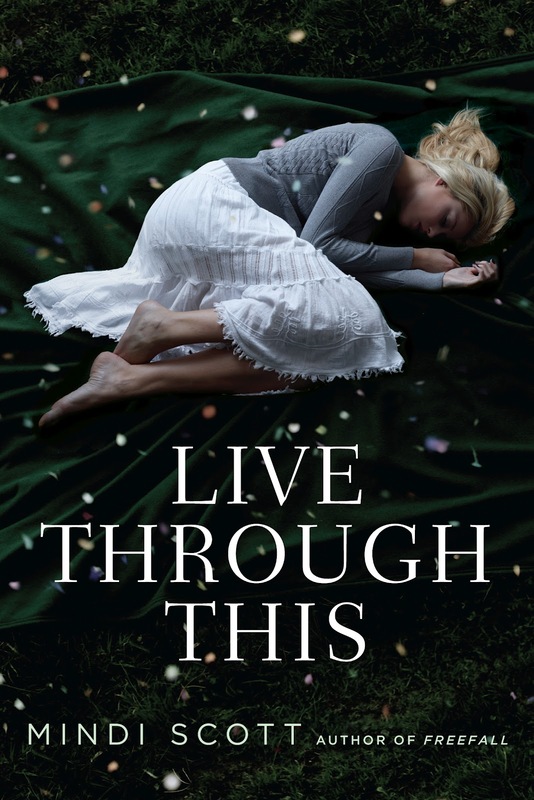 Hitting shelves today is Mindi Scott's stunning sophomore novel Live Through This, and to celebrate, I've stolen Reece, the adorkable love interest from the book, for an interview! Describe yourself, in 5 words or less. Tall sax player from Alaska. Tell us about the first time you ever met or saw Coley. A few months ago, Coley and I went to the zoo with friends. Even though we’d gone to school together last year, the zoo was when she and I first “met.” It ended up being just the two of us hanging out together for a couple of hours, and it changed everything. In that one day, Coley Sterling went from being just some girl to The Girl. I haven’t been able to stop thinking about her since. Boxers. Skinny jeans aren’t my thing, so I don’t need briefs. So… the gossip mill says you and your ex-girlfriend banged over 400 times. Let’s talk about that little fact of your life. *laughs* Four hundred times? I don’t know. I’m thinking that’s probably not a fact? I’m interested in hearing who was counting for us, though. Even though the hot tub scene ended up with you and Coley freezing in the snow, was it worth it? It was the best thing ever. Well, until her parents drove up. What’s it like to kiss Coley? Well, it’s like, um. I don’t know how to answer this. I mean, kissing her is awesome, of course. I guess, when she kisses me it’s kind of like . . . she’s asking a question and I’m the only person who has the answer. Does that even make sense? Coley ends up having to face up to some really heavy stuff. Are you glad you’re able to be there for it, or do you kind of just want to turn tail and run? I still don’t know what she’s facing. I want to know. I want to help her in any way that I can. But no matter what it is, I’m not going to run. So there you guys have a little look at Reece! Live Through This is one of my favorite books of the year, and absolutely is on my Kari Recommends list, so make sure you pick it up right away! Not to mention, Reece isn't the usual kind of hot, cocky, love interest, he's a sweeter, gentler variety, but he is so worth it.